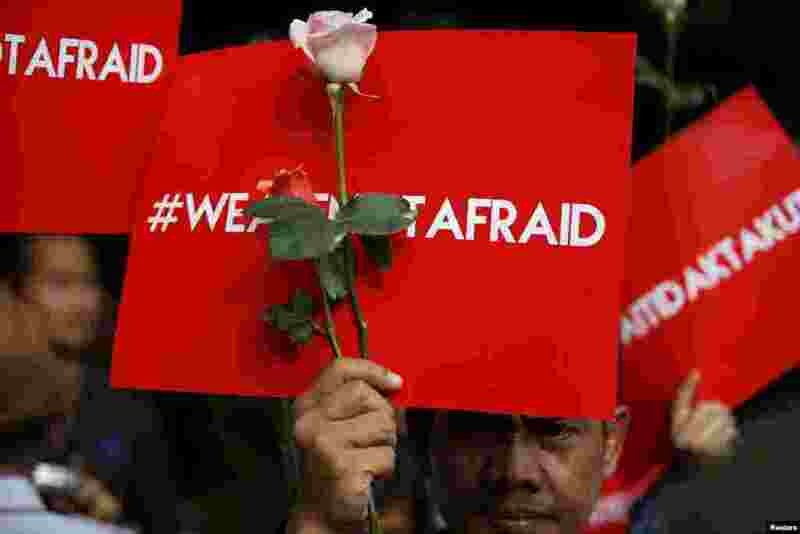 1 People hold placards reading "We are not afraid" during a rally at the scene of Thursday's deadly gun and bomb attack in central Jakarta, Indonesia. 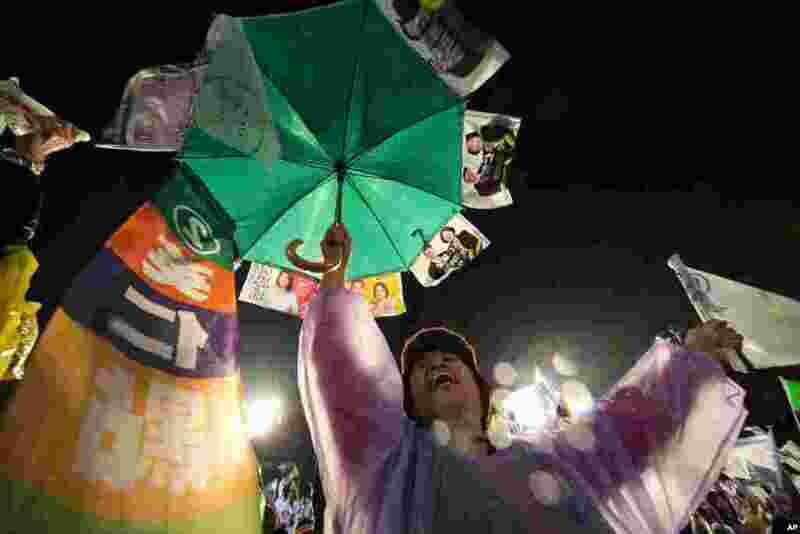 2 A supporter of Taiwan's Democratic Progressive Party cheers for presidential candidate Tsai Ing-wen, during the final rally before polling day in Taipei. Taiwan will hold its presidential election on Saturday. 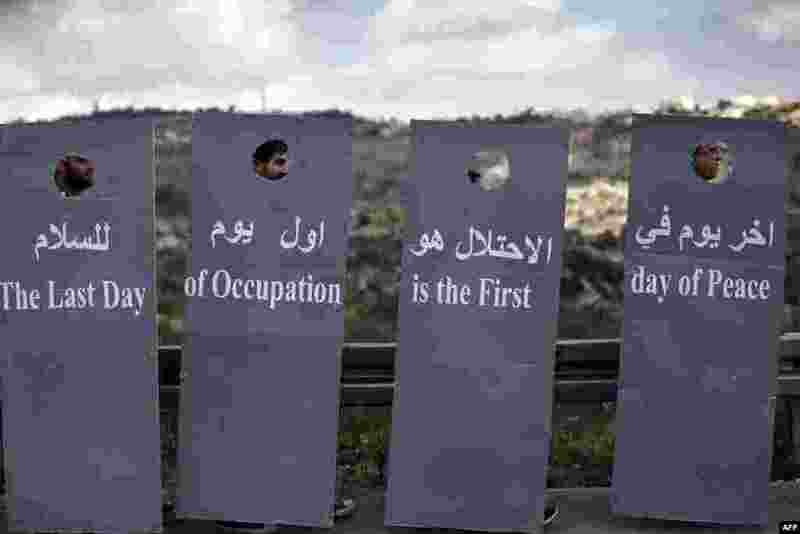 3 Israeli and Palestinian peace activists walk behind cardboard cut-outs depicting the controversial Israeli separation barrier during a peace march at an Israeli road, near a checkpoint between the West Bank city of Beit Jala and Jerusalem. 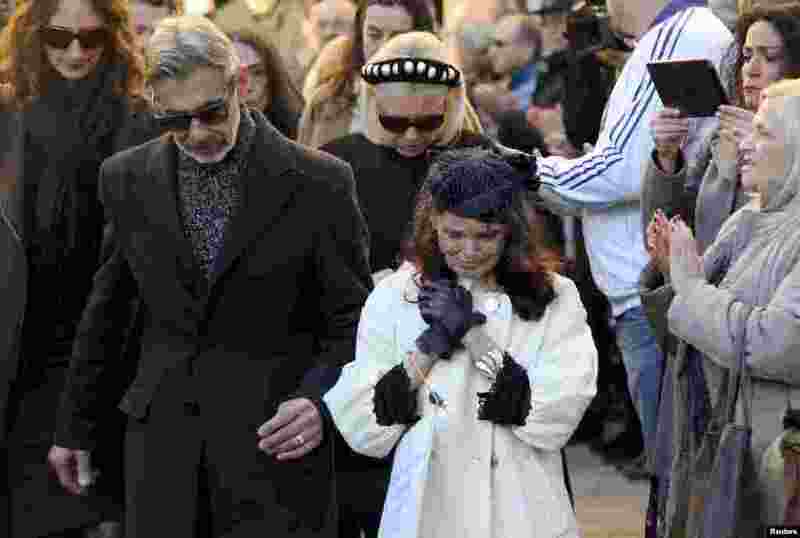 4 The father and mother of Ashley Olsen leave a church after their daughter's funeral in Florence. Police arrested a Senegalese illegal immigrant who prosecutors believe killed the U.S. woman, who was found dead in her apartment in the Italian city last weekend.